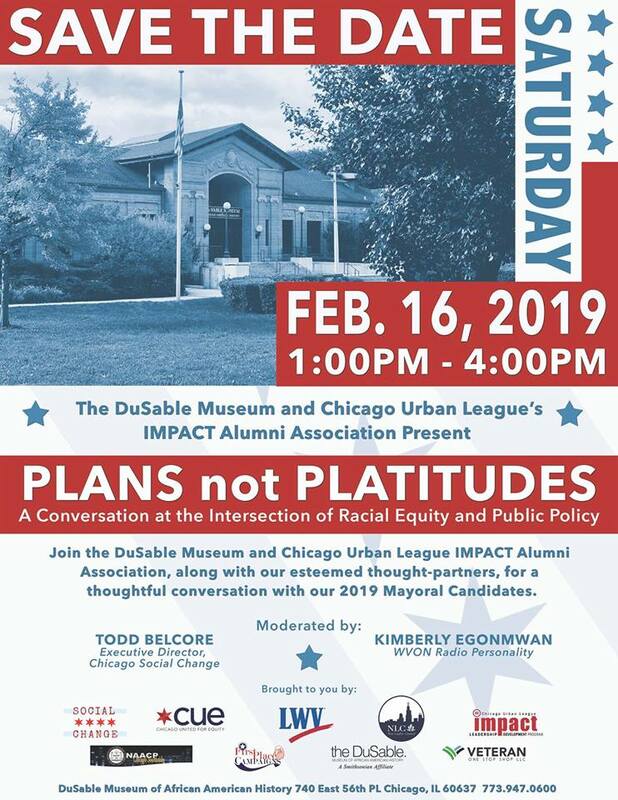 A partnership with the DuSable Museum and the IMPACT Alumni Association to convene CBOs and community members to hear the visions of our 2019 mayoral candidates on how they will lead a more inclusive and equitable Chicago government. Questions curated through thought-partnerships with CBOs that do work at the intersection of race and public policy across Chicago. The intent of this forum is to ask pointed questions to illicit specific and thoughtful answers from the candidates to get a robust understanding of their plans to lead equitably from the 5th floor of City Hall.